What? Paul Gallant on in the morning? 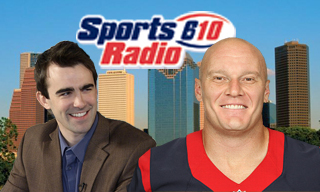 With former Texans center Chris Myers? Yup. We're filling In The Loop for Nick Wright and John Lopez this morning. We'll discuss sports and stuff. Listen live at SportsRadio610.com.